Introducing our first line of guitar cabinets designed for stage performance. They are called the �Blues Player's Dream� series. There are two model sizes with different speaker configurations. Power-handling capability is determined by the choice of speakers installed in the cabinet. We incorporate a Curvilinear, Bifurcated Vent in a closed-back cabinet. The result is a transparent, musical sound that lets you hear the amp and speaker with little coloration, high-efficiency, maximum dynamic range, frequency response, sustain, and definition! 1. The �Blues Player�s Dream� 24� modified Cube. Available with a single 12� speaker or two 10� speakers. 16, 8, or 4 ohm. From 30 watts RMS to 500 watts RMS depending on your choice of speakers. Pricing: $1,795.00 for the cabinet. Speakers are priced separately. 2. 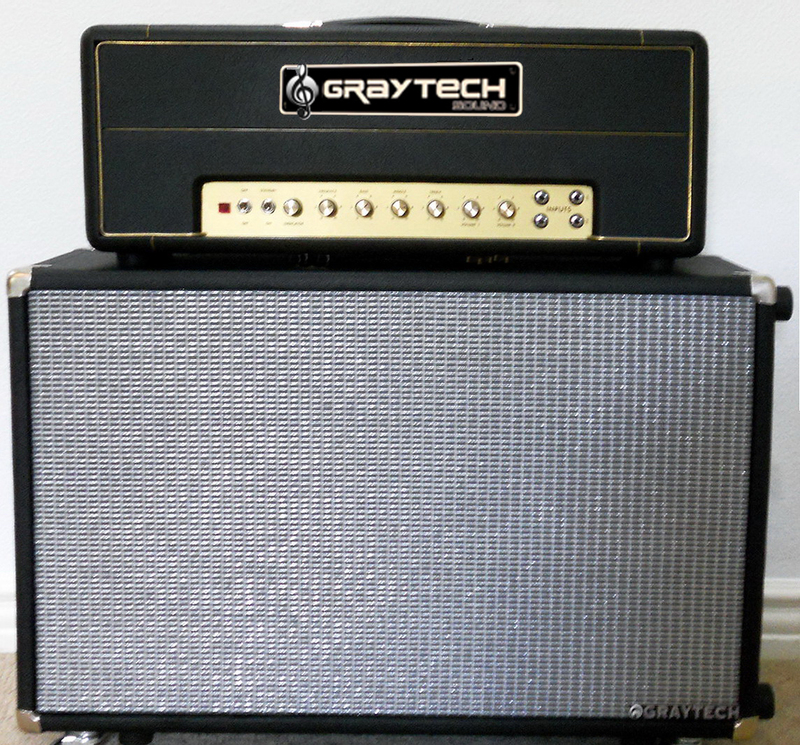 The �Blues Player�s Dream� Closed-back cabinet - 24� wide x 32� high x 16� deep. Available with a single 15�, two 12�, or four 10� speaker configuration. 16, 8, or 4 ohm. Pricing: $2,250.00 for the cabinet. Speakers priced separately. All cabinets have casters installed. The �modified' Cube is designed to have a closed-back cab stacked on top as an option. 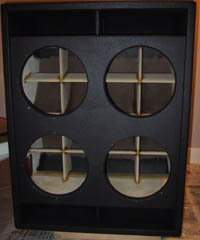 (See photos of prototypes for reference) The speakers we use are: Austin Speaker Works, Eminence, Tone Tubby, and Weber. These cabinets are NOT mass-produced. They are hand-built, so there is a lead-time of 4 to 6 weeks. Birch Plywood is used for the main body of the cab along with various external and internal hardware. Structural adhesives and screws are used extensively making our cabinets road-worthy. We have a 1 year limited Warranty. Speakers that are damaged due to voice coils being burned, or punctures to the cones are not covered under warranty. Cabinets that are dropped, or exposed to outdoor weather conditions such as rain, snow, or extreme heat will void the warranty. We reserve the right to inspect and determine the cause of any problems that may arise due to usage in normal applications. Shipping and insurance costs are calculated on an individual basis and separate from the purchase price of any products. What distinguishes these cabinets from traditional designs, is their response. The 2-12 rear ported cab has a combination of a closed back sound with an open back presence. 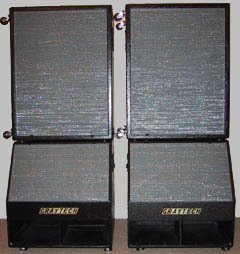 The 2-12 and 4-10 stack (the upper cabs) are unique! They accentuate the mid range and eliminate excessive bottom end. This makes them ideal for stage performance, as they are extremely dynamic and offer maximum sustain and frequency response to cut through the mix. The front ported monitor cabinets are designed for the small venue. They can be used by themselves and deliver all the nuances of any playing style. They only require 24 square inches of space,are very compact, and will fit in the front seat of your car. I can also customize speaker cabinets to fit your needs. Pricing varies depending on speaker selection.